Cabinet approval will be sought for the supplementary purchase of 500 MWs of barge-mounted power to meet the shortfall, Power, Energy and Business Development Minister Ravi Karunanayake said. 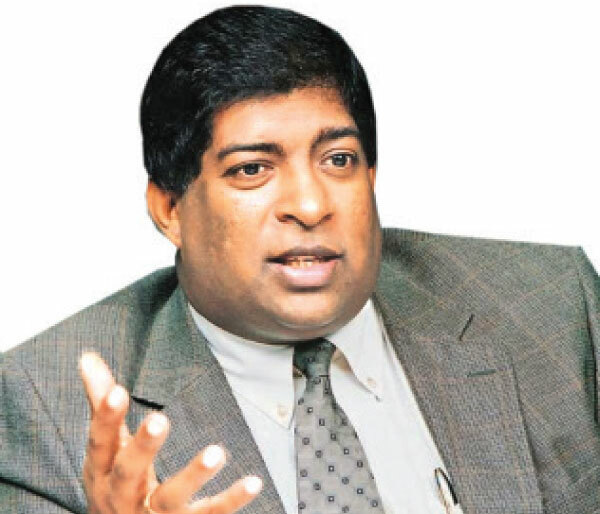 Speaking to the media at his Ministry premises yesterday, Karunanayake said the prevailing power cuts would end after April 10, and that the Ministry would make sure an uninterrupted power supply during the Sinhala and Tamil New Year as well as Vesak celebrations. He said that electricity supply for ‘Vesak pandals’ would not be restrained. He said 500MWs of barged-mounted power would be bought from the private sector at a unit price of Rs. 25-26 for about 1-2 years. The minister, while stating that the private sector suppliers for supplementary purchasing have already been finalized, however did not wish to disclose their names until Cabinet approval is given. “The unit cost of the Kelanitissa power plant is between Rs.37-39. The unit price of supplementary purchasing is lower compared to that. This is a temporary measure and still we request the public to use electricity sparingly. The waste of power must be curbed. We still see street lights on even at around 10am,” he commented. The minister also said three new Coal Power Plants are in the pipeline, two in Norochcholai and one in Foul Point in Trincomalee. He said that all the three plants would have to be commissioned on or before 2025. He said these would be Government to Government investments, but said the countries investing on them have not yet been finalized. He said the proposed coal power plant at Foul Point would have two phases each with 300MWs. The two new coal power plants in Norochcholai would be an extension to the existing one and one of them would be used as back up. Questioned by the journalists on previously adopted ‘zero coal power’ decision of the Government, the minister said this policy was subsequently changed to “allow coal power on limited basis”. “The long term generation plan, which was approved, proposes an energy mix to meet the future demand. It includes one third of power from thermal energy, one third of power from coal and one third of power from renewable energy including the hydro power,” he explained. The minister also argued that a unit cost of coal is below Rs 12 and it is the cheapest after hydro power of which the unit cost is only Rs.1.80. The minister observed that not a single MW had been added to the national grid since 2012 from ‘firm generating resources’. “Since 2012, 760 MWs had been added from renewable sources such as solar and wind which are considered ‘intermittent generating resources’. Each year our demand increased by about 300 MWs, resulting in about 1500-1600 MW deficiency”. “The power crisis in 2019 was predicted far back in 2016. The politicians should be responsible for not taking timely decisions. I believe 65 percent of the fault of the current power crisis lies with the political authority. I don’t want to rock the boat at this moment but you will come to know those who were responsible for the current crisis within another six months,” he said responding to a question by a journalist as to what action the Ministry intends taking against the officials responsible for action taken to avoid a power crisis. The minister said several LNG power plants are also in the pipeline and Japan, India and China were holding discussions on them. He said the reserve margin of the CEB which is currently 10 percent would be increased to 25 percent in the future after discussing with the PUCSL. He said the current power crisis was because Norochcholai power plant and power barges broke down. He added the Mahaweli Authority deciding not to release water for power supply after March to save water for irrigational and drinking purposes aggravated the problem. Commenting on the clash between the CEB and PUCSL, the minister said a final decision to solve this problem would be taken at the Cabinet meeting today. Responding to a question on the e-scale salaries of the CEB engineers which the Supreme Court recently struck down, The minister said he hopes to amicably settle the matter after meeting the CEB engineers. Insisting that the electricity tariff for domestic customers would not be increased, the minister instead said that it would be reduced if possible by 2021. “However, some adjustments on the electricity tariff is being considered for the industrial sector. The tariff for this sector had not been revised since 2014. We will have a discussion in this regard with the Chamber of Commerce the next day. There is no final decision on it,” he said. Commenting on the issue of importing 50 generators each with 1MW capacity, the minister said that he had asked for a report on it. He added that 38 out of them had been in working condition.